Arriving at the Thirteenth Division barracks, Tenkai and his son walked through the large double doors leading to the interior. The first room they stepped into was the greeting room, or something to that effect. It was somewhat like a reception area for those who were coming in with business for the division. They could bring messages or drop off paperwork to the front to be distributed to whomever needed to get it. Typically a higher seated officer handled those affairs due to the fact that some of those papers could be of a gentile nature. Though a single officer never remained on that duty for a long period of time. It cycled constantly from the ninth to the fifth seat officers. It changed every week so that nobody was doing it for too long. Tenkai would rather have high ranking officers doing more important tasks but some of the messages and documents that came in were rather important. They were not meant for the eyes of the riff raff of the squads. Coming in Tenkai made a b line for his office with his son close behind him. The two were meant to speak before actually beginning their duties. There were going to be a large number of changes to be made. As the two walked through the halls many squad members stopped to bow and greet them. "Good morning Captain Bushinji, Third Seat Bushinji." Stopping to greet the members Tenkai turned to his son to tell him who they were. Having only just become their Captain a few months ago and being away from the squad for all but a week of that time, he had not gotten acquainted with them yet. His son got the message and greeted the three individuals. "Good morning ladies and gentleman. May I officially introduce you to my father, our new Captain." "A pleasure to meet you all in person." "Father, this is Nobumasa Fujimoto, the Seventh Seat Officer. Here we have Kichirou Yamauchi, the Sixth Seat Officer. This is Yoshirou Fukui, our Fifth Seat Officer. Last but certainly not least is this lovely young lady here, Tomomi Yamamoto." "It's good to meet you in person Captain." The group spoke in unison and bowed once more as they were officially introduced. It was good to be meeting the higher ranked individuals in the squad. They would be the ones he would be most frequently dealing with. However his thoughts brought him elsewhere as he looked over the woman before him. His son had said her last name was Yamamoto. Tenkai began to wonder if she could at all be related to the late Captain Commander, Genryuusai Shigekuni Yamamoto. It would at least explain her rather high rank despite her young appearance. "Miss Tomomi, if you do not mind I would like to inquire into your lineage. The name Yamamoto has stirred thoughts within me. Would you by chance have any relation to our founder and first Captain Commander, Genryuusai Shigekuni Yamamoto?" The young woman seemed reluctant to answer the question for whatever reason. He was unsure if he had broached a somewhat uneasy topic for her. But it appeared that was not the actual case itself. Tsunkai leaned over and whispered into his fathers ear. "Shes a bit of a shy one despite her rank and strength. Shes as fierce as a tiger on the battlefield but can't form a sentence when speaking face to face with someone. Give her a second though, she'll respond." Nodding to his son Tenkai stood patiently as Tomomi formed her words together. Finally she did indeed speak though her voice was rather quiet and the high pitch made it seem as she was only making squeaking noises instead of words. Only through listening very closely and intently could Tenkai completely understand what she was saying. "Y-y-yes..he w-was my g-g-g-great grandf-f-father..." Tenkai smiled warmly and placed his hand gently on her head. Ruffling her hair he moved his hand back into the opposite sleeve of his haori and turned to continue down his hall. "Quite interesting to know we have someone of such lineage in my squad. I hope your proud of what your great grandfather had done for us. I also hope your proud of the blood that flows through your veins. For the short time I knew him he was quite the extraordinary man." With that, Tenkai bade the group goodbye and continued on to his office with his son. His subordinates bowed to him and said their farewells preparing to return to their duties as well. As the pair continued on down the hall they came to Tenkai's office in a short period of time. Opening the door and making their way inside, Tenkai seated himself behind his desk and crossed his arms over his chest. Watching his son shut the door and sit down across from himself, he poked the topic at hand. "So, what do you think about the abilities of the squad? Would you consider them more booksmart, political, combat ready, or all rounders?" It was clear the question took his son a little off guard, but not entirely enough to warrant asking why. Since he had just taken command of the squad it was a question that would be rather valid. But the purpose of the question was most likely not something that his son would imagine. "Well, I suppose they would be more inclined towards all rounders. During my time leading the squad I tried to promote combat training and practice to keep the men up to standards. But, your predecessor wasn't inclined towards heavy training so the men have a lot to be desired." "Mmmm" Tenkai mulled over what his son had said. It was true that Captain Ukitake was not a very violent or combat inclined man. Though he personally was a prodigy and incredibly talented individual, his kind heart overshadowed his abilities. That being the case, he was very gentle with his squad promoting team building and generalized activities amongst the groups. Of course they were combat ready individuals that could handle themselves against your average hollow. But they were not well trained enough to be considered 'elite'. The Eleventh Division would no doubt be able to match a single member of their division against three of the Thirteenth. That was an average estimation of course though as it was hard to gauge the abilities of seated officers. Some were more talented then the ranks they held and others did not deserve a rank at all. It also depended on the all rounded abilities of the men as well, it wasn't all about using a zanpaktou, fighting hand to hand, or excelling in kidou. One who was talented in all areas was generally a more powerful individual due to their array of abilities. Beyond that, it also allowed for a greater chance of promotion in ranks. One who was adept in all of the arts and mastered their initial release, Shikai, would have a good chance of being chosen as a Vice Captain. Of course, that required the position to be open as well. But that was a matter for a different time and of completely different circumstance. For now, he had to deal with his own subordinates and get them to ship shape. "Tsunkai, I want us to intensify the squad training drills. We need to start expanding both how long they train and how they train. 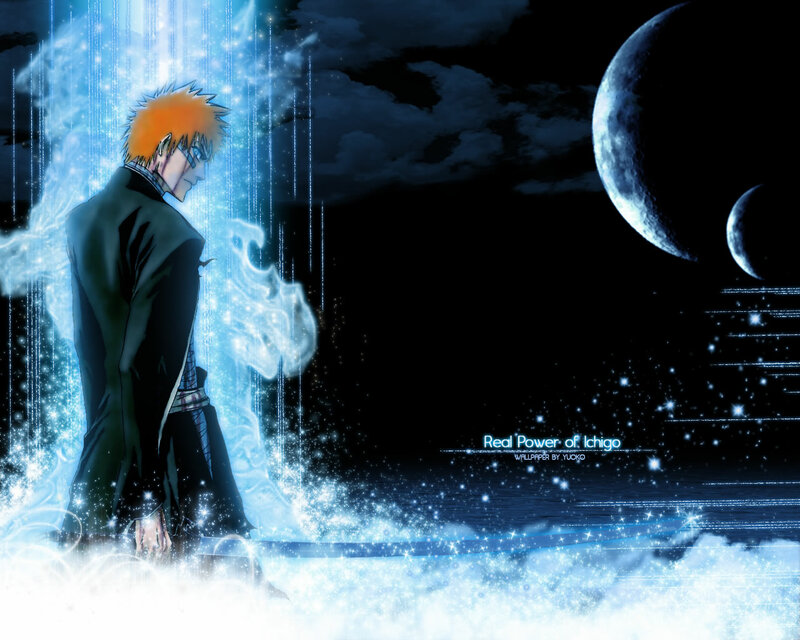 We need our men to be an example of what a shinigami should be. Elite troops that excel in all areas of the shinigami arts. This needs to start today and we will start with combat training exercises. Send out a message and instruct everyone to meet in the squad training area. I'll be waiting there for everyone to gather and explain in detail exactly what we're doing." Nodding, though with some confusion plainly on his face, Tsunkai accepted the order and got up to leave the room. As he walked towards the door he was stopped by his father who spoke a few more words. "Things are going to be changing around here Tsunkai. Not just this squad, but the Seireitei in its entirety. We have to prepare ourselves, and the men, for the changes ahead. We have to be ready to lead them into this future as well, such is our duty." Not saying a word, Tsunkai simply nodded and then exited the room shutting the door behind him. The meaning of his fathers words was somewhat ambiguous, it could mean anything. But despite all that, Tenkai was sure his son had some inkling of what was going to happen. He was a great deal like himself and thought the same way as well. The only difference between them was their age. Tenkai was more experienced in just about all matters and could see things from a different perspective. Once his son grew into a fine man and matured further, he would see things for what they were. But for now, he only needed him to obey his orders and perform his duties admirably. Uncrossing his arms and intertwining his fingers, he cracked them quietly and then stood from his chair. He headed off towards the squad training grounds to prepare for the exercises he had planned. If all went well, his squad members would be much more talented in only a months time. Perhaps he could even weed out the imbeciles and underachievers and replace them with those that actually deserved recognition. But, that was to be seen and would be seen over time.